Semi legendary pub/venue on Bradford St in the Digbeth area of the city. Renowned as the place where all the market traders/workers went drinking so it was always open at 4 am any day of the week. It could be quite lively! Send us gigs you saw there and any photos, memorabilia! 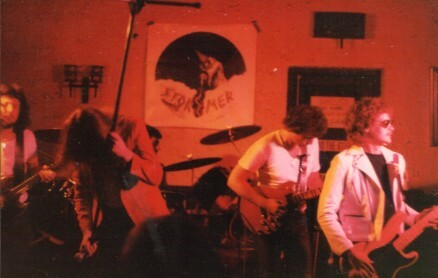 Derek Eynon has sent in this picture of Stormer playing at the Mercat in 1981. I used to go there with an awesome band called Strider. I think they played there every Saturday night. Another band that played there was The Handsome Beasts, they were really good too. We saw Blyth Power there. They were bloody loud! 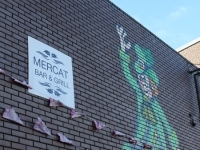 Many happy times at the Mercat, from what I recall it was the place to go after the Toreador (sp?) shut for the night. Seen some great bands there too – Eastfield, Rosetta Stone… good times. Glad it’s still going. I remember seeing a few bands there in the early 80s, including Zep influenced blues rockers Born Loser. The audiences were never that big as someone else pointed out. The area was so quiet at night that it was always a trek to get there, even more so than the Railway which at least felt like a bit of a rock haven once you were in. The Mercat Cross always felt like borrowed space. According to a BBC News website article, it’s now closed down after a period as an Irish pub – http://www.bbc.co.uk/news/uk-england-birmingham-26546193. There was a band who played there regularly called Briton who were pretty good, and another one called After Hours who had an amazing drummer and a useful guitarist who looked like a cross between Mark Bolan and Brian May. 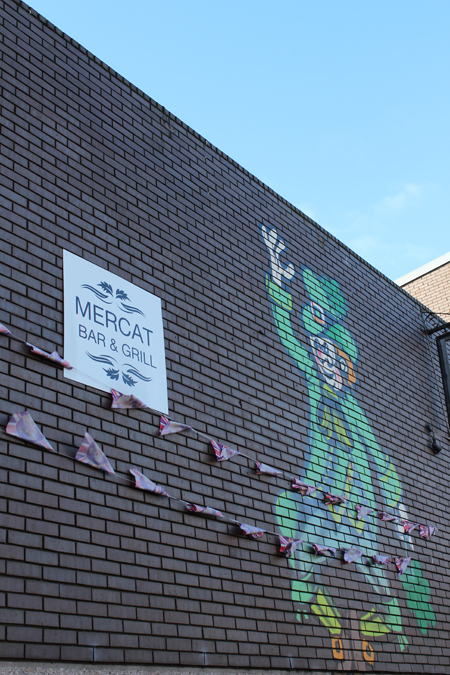 I loved going to the Mercat in the 80s. Yes, it was out of the way… I recall the walk down there from the town centre could be a little scary and dark, but I even trekked down there in deep snow one time. I’m not sure if it would have been a Saturday or Sunday night but I’d regularly go to see a band called ‘Boxer’ and I seem to recall my favourite track was something like ‘happy girl’?. It’s all a bit vague now I’m old n decrepit but those were great days and I remember it would be packed. Good old 80’s Birmingham rock scene… Loved it! Seen Uk subs …. About 1990/1 at Mercat… Then at after show at sinatras … Mad Graham … Keeping us all entertained till the wee hours!! I was part of the very first band that started off the Mercat as a live venue. The band was called Raw Deal. Memories include one particular night I was only able to get one drink due to the fact we were packed to the rafters and couldn’t get to the bar until the end! Other members of Raw Deal were Guy Dennis, Dave Smaylen, Matt Thorpe and later Gary Smith and I think briefly a guy called Paul (?) Marston (Marsden?) to replace Matt Thorpe after he was electrocuted at the Mercat one christmas eve. At the time we also came second in the Melody Maker Rock Contest finals in Leicester. Happy days! Yes Raw Deal played every Friday night for at least 2 or 3 years and were probably the first band to perform there. I’d just like to point out that I did in fact survive the electrocution and spent Xmas Eve in hospital. I resumed playing with Raw Deal after the burns on my hand healed up. I remember seeing a band called Video in the mid to late 1970 s .
They may have a couple of name changes . They were a 4 or 5 piece rock band including their male guitarist / lead singer and a female vocalist . I think it was their own composition as were a lot of their songs . They had a very tight professional sound . please don’t shoot me for saying that lol ! All I know is I used to enjoy hearing them very much . I often wonder what happened to them and if they broke up and joined other bands etc . If you know who I mean and could give me any info on them I would love to hear back from you . 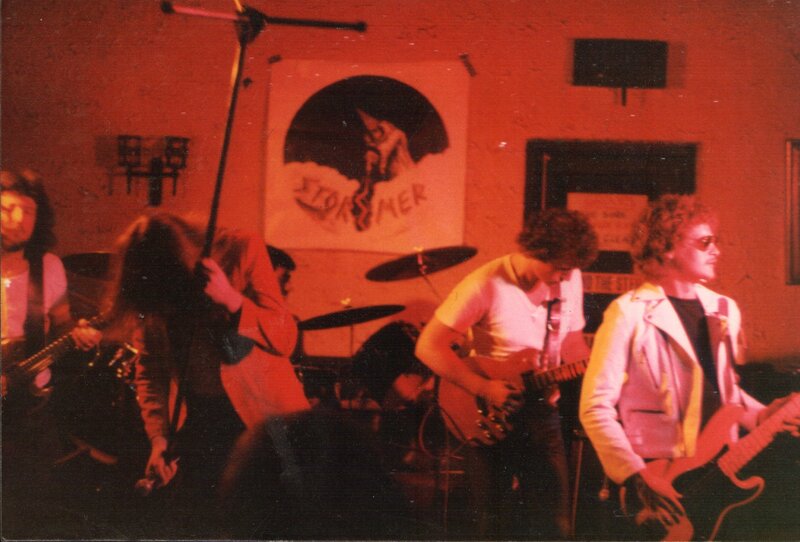 My first ever live music gig was at the Mercat back in the late 70’s, 78/79 ish? A great Rock band called Strider/Stryder played every weekend then & had a song called “cover up” that was absolutely brilliant! I turned up one weekend to see them & they weren’t on!! The landlord told me they’d split up but a new band was taking their place that night…… The Handsome Beasts & so started my second best ever live rock band! We used to go about 1979 every Saturday to see Strider who I think had to change their name to Wolf. They were brilliant. I think Eddie was the singer and they had a fantastic guitarist (I think called Nicki). I also remember you’re feet stuck to the carpet if you stood in one place for too long! Happy days. The ‘amazing drummer’ with After Hours was Keith Moore (sorry Matt Simpson..he was the chap that replaced you in the band) and yes, he was bloody incredible, and a complete nutter!. I know this as I am the ‘useful’ Bolan/May lookalike…played a Les Paul copy (CMI with Dimarzios) through a Burman Pro 502 combo (a real Marshall killer!) which very fortunately gave me a rather impressive tone for the time. 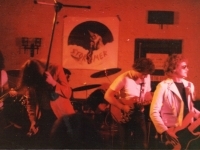 Other members of the band were Roger Weir (co/twin lead) and Graham Toulouse (bass). All top blokes! All the very best to you guys,in the rather unlikely event that you ever get to read this!